TRAC has generated over one thousand antibodies against one hundred human antigens The Toronto Recombinant Antibody Centre (TRAC) is a state-of-the-art technology platform for the generation of high-quality synthetic antibodies that can be used in research and medicine. 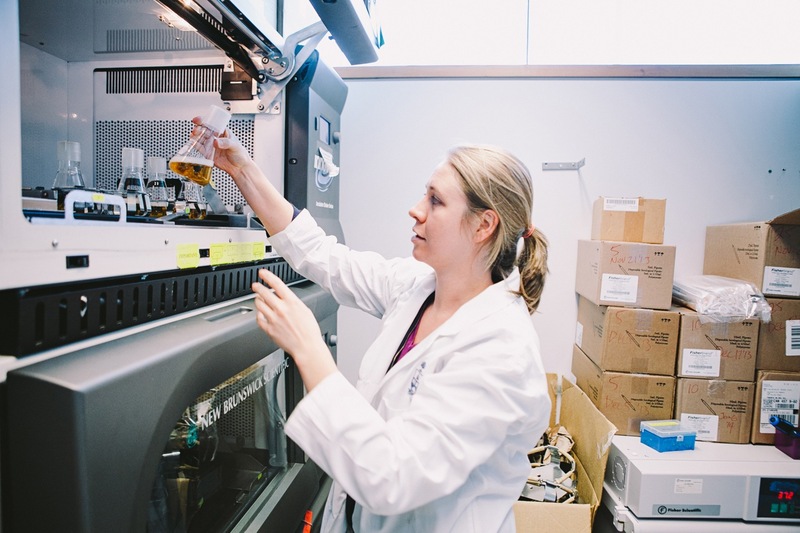 Housed at the University of Toronto’s prestigious institute for biomedical research – the Donnelly Centre – TRAC celebrates its sixth year in operation as a premier facility for developing synthetic antibodies. The facility was founded by Donnelly Centre researcher Dr. Sachdev Sidhu, who has recently established the Centre for Commercialization of Antibodies and Biologics (CCAB) to translate promising antibodies into products available on the market. The TRAC is currently under the direction of fellow Donnelly faculty member, Dr. Jason Moffat. TRAC has assembled a world-class team made up of some of Ontario’s most prominent scientists and clinicians with an unusually broad repertoire of interests and expertise. This combination ensures that the TRAC is poised to produce thousands of high-quality antibodies against numerous diverse targets, that can then be immediately evaluated for therapeutic and research potential. TRAC is funded by large provincial and federal grants from Genome Canada, the Ontario Ministry of Research and Innovation, the Ontario Institute for Cancer Research, the Canada Foundation for Innovation and others, that have been awarded for collaborative projects led by Donnelly Centre faculty including Drs. Sachdev Sidhu, Jason Moffat, Charlie Boone and Brenda Andrews. The expertise of other Donnelly Centre members, like Drs. Gary Bader and Igor Stagljar, as well as collaborating scientists at the University Health Network (UHN) and Ontario Institute for Cancer Research (OICR) has contributed to the enormous success and productivity of TRAC. The TRAC has also attracted the interest of numerous industrial collaborators. Notably, a major collaboration with CelGen, Corp. was recently established to support TRAC as part of the Recombinant Antibody Network (RAN). 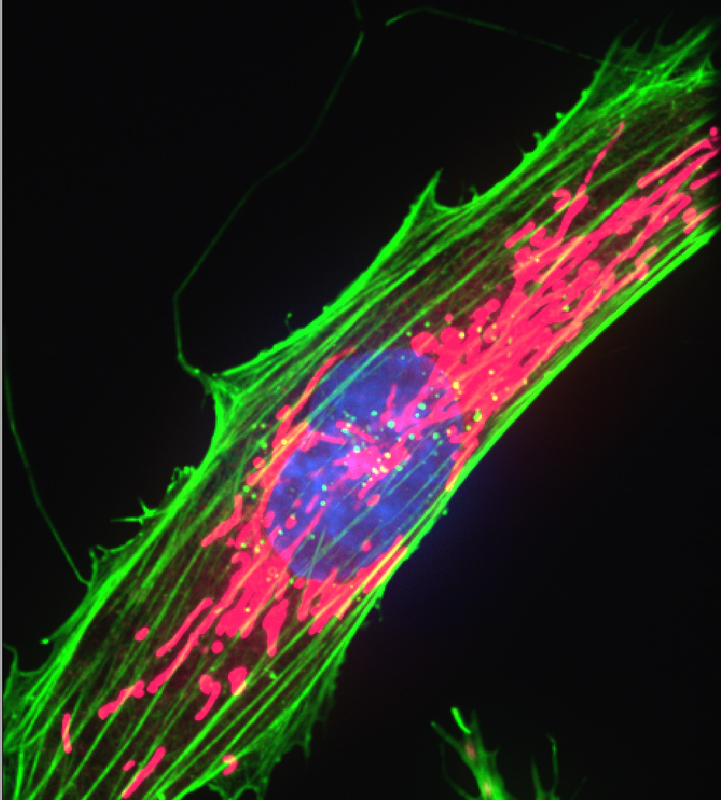 antibody staining showing different structures in a cell, actin fibers (green), mitochondia (red) and DNA (blue) TRAC has established a strategy for generating antibodies with sub-nanomolar affinities, which are as good or better than conventional antibodies. Antibodies produced by TRAC have been used to detect secreted and cell-surface proteins in cell biology experiments, have been validated as effective probes and modulators of cell signaling and have proven to be effective as therapeutics in animal models of cancer and infectious diseases. Unlike natural antibodies that are produced in animals, synthetic antibodies are produced from scratch using advanced antibody engineering methods in combination with phage display technologies. This allows for rapid selection and optimization of therapeutic-grade antibodies that can be developed entirely in a test tube, thus overcoming a number of barriers associated with animal-based antibody production platforms. Antibodies produced at TRAC are lead therapeutic candidates at the spin off company, Northern Biologics that was featured in a recent Globe and Mail article.